Disease Management « They Said What? 79% reduction in admissions, and an 85% reduction in total costs ($4458 per patient per month falling almost immediately to $652). Your savings happened immediately after the program began. 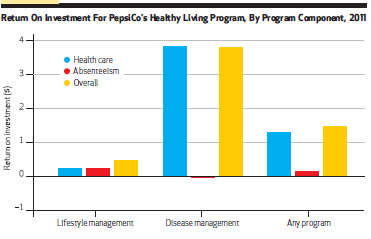 No other disease management program claims that its savings are immediate and yet many programs have interventions similar to yours. What did you do differently to make you so successful? You write that to be included in the analysis during this 18-month study period, a member need only have participated for 15 days. How were you able to achieve such dramatic results over such a long period with only 15 days’ required participation? The most dramatic decline in admissions – about 90% — happened the first month (February) of the program. Are you saying that you were able to find all these members’ contact information, schedule the phone calls to the members and their caregivers to convince them to join the program, schedule initial followup calls to start trying to manage the members, make the scheduled phone calls, collect the information, get members to visit their doctors, and adjust lifestyles and medications — all by February 1 for a program starting January 1? Your “unchanged” matched cohort seems to have declined by 25% over the course of your intervention. How are you defining “unchanged”? Why did Wellpoint ask you to take their name off this study? 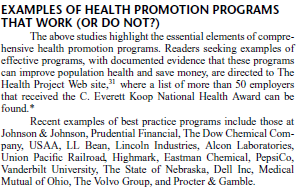 Can you get someone at Wellpoint to endorse this program in the space below? If admissions declined 79% but total costs declined 85%, wouldn’t the use of physicians, labs, drugs, home care and all other services have to decline by much more than 85% in order to have the average decline in costs be 85%? Very conservatively assuming that admissions account for only half of all costs for CHF patients, wouldn’t all other costs need to decline to about $200/month, which is much lower than a typical commercially insured person spends and far lower than a Medicare member spends? Wouldn’t such a low non-admissions spending figure mean that most patients would no longer be taking most meds or insulin, seeing doctors regularly, getting tested, participating in therapy, etc.? What did the New England Journal of Medicine get wrong when they tested your intervention and found no impact at all, which is much different from an 85% cost savings? Pharos isn’t just validated, but rather it is claimed to be strongly validated. Can you distinguish being “strongly validated” from garden-variety validation? Who did that “strong validation” and can they explain their rationale below? Why, if you can’t answer these questions that have been asked for several years now and Wellpoint has withdrawn its name, is this study still on your website? Mercer Health AdvantageSM – Mercer Health Advantage (MHA) allows self-funded employers to enroll their employees in new medical plans starting January 1, 2013. These programs are designed to save employers 5% or more of medical plan cost with the same plan design they have in place today. The savings come from select networks with providers chosen for their quality and cost effectiveness. Employers also gain access to dedicated MHA clinical care management with ongoing oversight and audit by a team of Mercer clinicians. Mercer plans to offer MHA to smaller self-funded employers in 2014. Self-insured clients with Aetna need 1,000 employees, Anthem-1,500 employees or greater on WGS or NASCO claims platform and UHC must have 3,000 employees in the National Accounts segment. Since most employers spend less than 5% of their total budget on disease management-sensitive events, how is it possible to save 5% through a disease management program even by eliminating every event with no increase in preventive expenses? If the state of Georgia were able to save 19% through APS disease management, which according to your own reconciliation APS is able to do, shouldn’t you be advising clients to use APS or another vendor instead of yourselves? If you are being retained to help a client find the best disease management solution, wouldn’t offering your own such solution create a conflict of interest? How have you determined the quality and cost-effectiveness of physicians that you “choose” for this network? Is it possible that the reason savings appeared in all categories is that you simply chose to project a high trend, so that you could show more savings against that trend, or as you’ve said in the past: ““We can conclude…that the choice of trend has a large impact on estimates of financial savings”? If medical homes save money through more primary care reducing the need for specialist visits, why combine both categories when reporting savings? Inpatient spending fell by more than 50%, which implies that non-birth-event admissions would have fallen by more than 70%. How does this reconcile with the official government admissions data, which shows no change in admissions? There was no noticeable decline in North Carolina in the official government list of primary care-sensitive admissions during the period you analyzed. 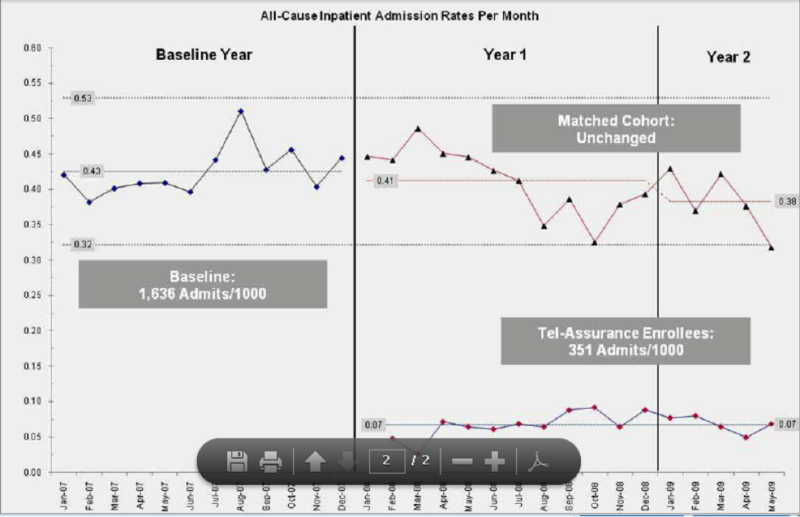 How do you reconcile that data with your own data showing massive admissions reduction? The second North Carolina chart shows that per-member per-month expenses in children under 1 year of age declined more than 50%. Since there is essentially no common chronic disease in this age group, where did the savings come from? 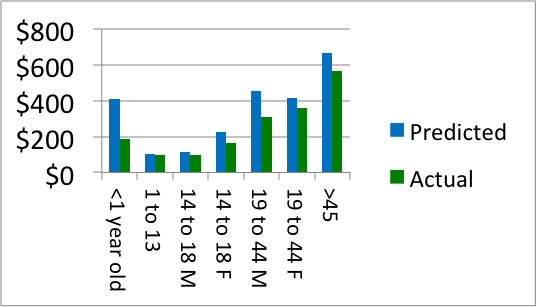 The largest expenditure in this age group is in neonates. How does your data reconcile with the government data showing no change in neonatal admissions? How were you able to show such massive savings for this age group in your medical home analysis when this age group wasn’t eligible for the medical home? Assuming that disease management-sensitive medical events account for roughly 8% of spending in a Medicaid population, how is it possible to save 19% through a disease management program? How do you reconcile your conclusion that the APS disease management program saved 19%, when an FBI investigation found that APS had largely failed to perform its disease management services? Did you caution British Petroleum that the savings you validated for them was at least 100 times the savings that Staywell itself claims is possible? Did you question Staywell about how they were able to outperform their benchmark by 100-fold? Why didn’t you or Staywell provide your viewpoint when requested to, following the observations on The Health Care Blog that these savings were mathematically impossible? It appears that no one at Mercer has ever achieved Advanced or even Standard Certification in Critical Outcomes Report Analysis, either through DMPC or one for the Validation Institute that is specifically geared to benefits consultants. Has any Mercer consultant taken either course and failed, or has no one at Mercer ever taken either course? Assuming the mistakes highlighted above are innocent miscalculations and not purposeful deceptions – and with senior consultant hourly billing rates well in excess of $500/hour – don’t you think it would be a good idea to become qualified in analyzing outcomes reports and reconciliation methodologies that you are being paid to analyze? Is there another course in outcomes analysis that we are unaware of that your consultants have taken, and if so, how did they still make all the mistakes above?